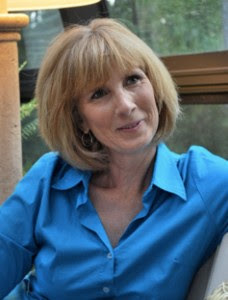 Today we welcome Dr. Linda Mintle, aka, "The Common Sense Doctor." 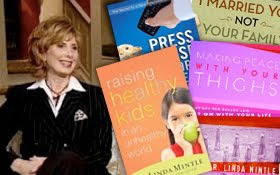 Dr. Linda makes regular appearances on the ABC Family television show Living the Life. She also has written books on weight loss, relationships, stress, and many other topics close to our hearts. “Sure I’ll cook for the spaghetti dinner.” “Yes I can baby-sit your children for the day.” “Yes, I can chair another committee.” “Since no one else will volunteer, I guess I’ll do it.” Do you ever find yourself saying these things and then realize you’ve taken on too much? You’ve committed to doing more than you can realistically handle. As a result, you are stressed and kicking yourself for not saying no. Too many of us take on too much because we don’t say “No”; we are afraid to speak up; don’t feel we have the right; need to please others; want to be loved for what we do; or think we have to be superwoman and do it all! Time to turn in your cape! Learn to say “No” and not feel guilty. You’ll reduce the stress in your life. Saying “No” to things requires assertiveness. Assertiveness is behavior that falls somewhere in the middle of giving in and aggressiveness. It is not giving in to the wants of others or keeping silent and expecting people to read your mind. It is also not yelling at people and demanding your way. It is a practiced skill that helps you manage stress. Contrary to popular thought, you don’t have to be angry to be assertive. In fact, I prefer you stay calm. You are someone important. You are also responsible for managing stress that comes your way. When you can do something about stress, take the initiative-speak up! Know what you want and take a reasonable position. Do not feel guilty setting limits. Reduce stress by taking control where and when you can. Speak up and let your voice be heard. When you address problems as they occur, you won’t build up anger and hold on to things that can grow into resentment. Often times, this is the root of depression, anxiety and eating disorders. Many of my female patients have to be taught how to be assertive because it is a skill they never learned. It is also something that has to be practiced. The benefits from speaking up are improved physical and psychological health. Your relationships will improve and you will better manage stress. In addition, you will gain respect from people. They may not like your stance, but they will respect you for taking one. Dr. Linda is a licensed marriage and family therapist, clinical social worker, professor, author, and national speaker. Ha! I do this all the time. I truly want to be helpful and feel needed. Sometimes at the expense of my own projects or prior commitments. Luckily I'm a fast worker! But seriously, No is really hard to say. I find the hardest person to say no to is ME, with my internal list of shoulds, oughts, and musts. It took a doctor's visit to realize I needed to give myself permission to REST. Thanks so much for being with us today, Dr. Linda. I noticed that you cover a lot of topics. Do you have one area that you particularly love or consider your specialty? Welcome to the Inkwell, Dr. Linda. Great post! Or when it has to do with something special like this Sunday night, a bunch of parents have been asked to cut veggies at the school in prep for the kids' camping trip the next day. Since my little guy will be one of the campers, I think I'll head in for that. Hi Dr. Linda, Inky friends and visitors. I am so proud of myself. I paid a cleaning company to come in today. Two nice women cleaned our downstairs and 2 bathrooms at a reasonalbe rate. I can't remember when the last time was that I did this, but it feels great! Now I can do some things for me, like work on my novel without the guilts of I should have . . .
My 85 year-old mother who moved in with us last year is totally opposed to my decision to have someone else clean. I did it anyway. No No A thousand times NO! No used to be first word out of my mouth when I had three teenagers! Now I guess I don't use it enough. Mostly because I overestimate myself. I can't do it all anymore. For me, being busy is healthy. But I have a date two times a week with Netflix so that I have enforced rest time. Cat On Lap therapy! Thanks Dina and Dr. Linda for reminding me to practice my 'no, thank you' and not to add more stress to my life. I look forward to checking out your website and books. We're so happy to have you visiting Inktropolis today! Jilly! How smart to use your first royalty check to pay someone to clean so you can spend more time writing. Sounds like an excellent plan to me. I wanna royalty check, too. Dina and Anita, I thought that was good use of an advance as well. Now maybe I'll schedule a massage! Ladies, I think Dr. Linda had a hard time logging on, but she did stop by and see your comments.